Prolific Scholarship James Dwyer, the Arthur B. Hanson Professor of Law at William & Mary, has spent his sabbatical engaging in research and working on several major publishing projects. 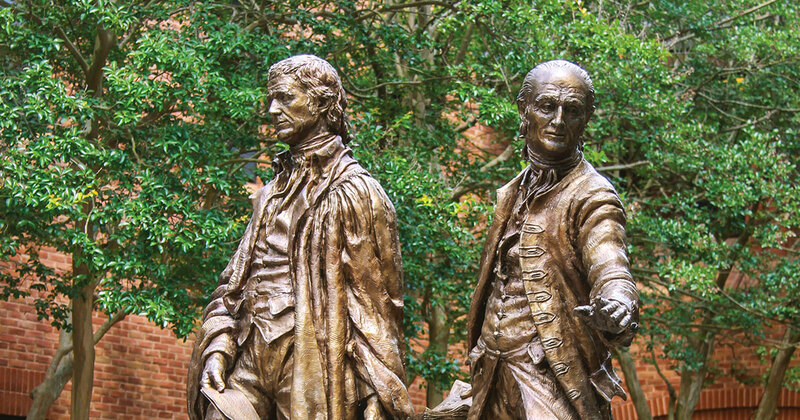 He has been at William & Mary since 2000. Think sabbatical and the idea of a leisurely year away from the classroom comes to mind. That’s been the case for Jim Dwyer since last summer. Except for the leisurely part. Dwyer, the Arthur B. Hanson Professor of Law at William & Mary, has been more than busy engaging in the usual research, thinking, and writing of a law professor. And he has newly authored books to show for it, one on child welfare policy and one on homeschooling. The first book, Liberal Child Welfare Policy and its Destruction of Black Lives, was published last July by Routledge; the second, Homeschooling: The History and Philosophy of a Controversial Practice (co-authored with Shawn F. Peters of the University of Wisconsin-Madison), will see print on April 22 from the University of Chicago Press. Dwyer says that the first book has received more press than any of his prior books (and he has written many), with multiple print and online reviews from scholars, and numerous phone interviews with reporters, as well as a public event at the American Enterprise Institute in Washington, D.C., taking place last fall. A provocative title helped garner interest, as well as Dwyer’s willingness to challenge basic assumptions through his arguments. 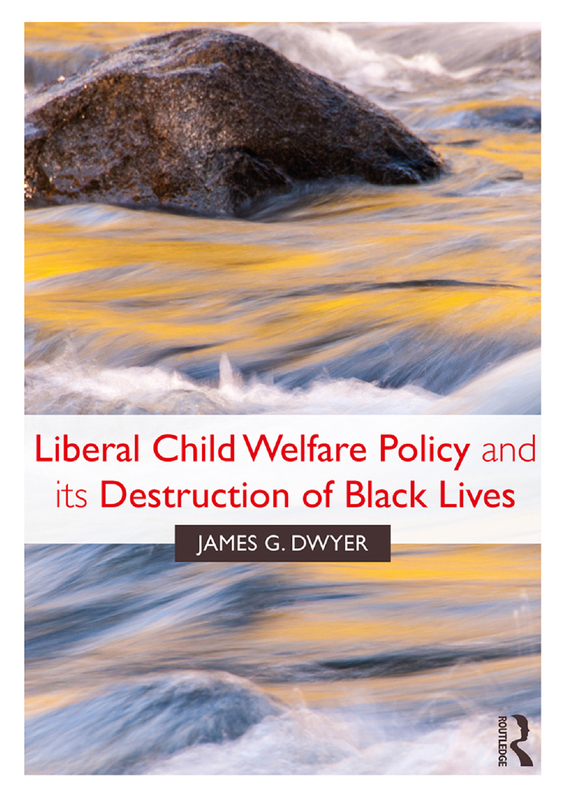 Although admittedly falling on the liberal side of the coin, Dwyer nevertheless found more common cause with conservatives in his book, Liberal Child Welfare Policy. “When the issue is poverty and dysfunction among adults, I think conservatives tend to be less sympathetic toward the adults and more concerned about what is happening to the children and what kinds of lives they will have later,” he says. Dwyer says that, from his perspective, liberals understandably sympathize with adults who struggle to take care of their children and their communities, and find it extremely difficult to endorse any policy that might cause them additional suffering, or that might look like one is blaming them. But such sympathy, he says, should not control or constrain child welfare policy. “If we want to stop this cycle, we have to accept that additional suffering for the adults might be unavoidable to prevent the children from suffering the same fate,” Dwyer says. Dwyer admits that it is harder to get the average person interested in child protection policy and practice unless they’ve been impacted by it personally. But many professionals are touched by it, as well as a large number of social workers who are interested in child welfare policy. He hopes that the book will reach all of them. Feedback has been positive, with Dwyer receiving a number of e-mails from people in a variety of disciplines who are glad someone has written what needed to be said. Dwyer has no doubt the upcoming homeschooling book will have an even wider audience. Unlike the child welfare policy book, which required digesting huge amounts of social science, resulting in notes that filled two filing cabinets, the research for the homeschooling book was less intensive. Dwyer, who has a Ph.D. in moral and political philosophy from Stanford in addition to his law degree from Yale, mostly spent time considering his philosophical and theoretical arguments. 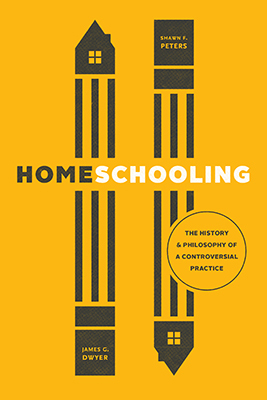 Homeschooling: The History and Philosophy of a Controversial Practice brings a unique two-step approach to the topic, opening with coauthor Shawn F. Peters’ succinct but comprehensive history of homeschooling. Dwyer’s philosophical approach proceeds from there. He notes that advocates sometimes try to legitimize homeschooling by pointing out that children were educated at home since the United States was founded. But history reminds us how vastly different homeschooling was in the colonial period, how the economy was different, and how educational needs were fairly primitive compared to what they are in the modern economy. Dwyer notes that history also disproves the misperception that home schooling is all done by religious conservatives. In fact, the modern rejuvenation of homeschooling during the 1960s’ counterculture movement came as much from liberals who perceived public schooling as authoritarian and promoting conformity rather than independent thinking. Dwyer suggests that most people interested in the topic tend to have very definite positions about what the state ought to do. On the one hand, homeschooling advocates predominantly take the view that the state should be completely hands-off (parents should be trusted, parents know best, the state has no business trying to constrain parents and how they raise their children); on the other hand, some people take the position that homeschooling should be banned, that children should be in school with certified teachers following an approved curriculum. Dwyer’s colleague Adam Gershowitz, Associate Dean for Research and Faculty Development and Professor of Law at William & Mary, says, “It’s quite rare for a faculty member to have multiple books out at the same time,” but Dwyer is well on his way with other publishing projects. Not only is he working on a new monograph now, on the topic of children’s migration rights under international law, he’s also serving as the editor of the Oxford Handbook of Children and the Law, a massive reference work that will be published this fall. Dwyer is writing one of the handbook’s 36 chapters, as well as the introduction and conclusion. The bulk of his work, though, is editing the chapters written by other contributors. Many of the contributions to the volume have increased Dwyer’s knowledge and given him new materials to use in the classroom when he returns to teaching full time. Amazingly, Dwyer has found time to engage in this enormous amount of scholarship while holding down the fort at home. Dwyer even finds time to satisfy other interests, one of which is acting. Last fall, he played the lead role in Larry Shue’s play, The Foreigner, with the Little Theatre in Norfolk. It’s that general flair for the dramatic that captures people’s attention where Dwyer is concerned, both on stage and in his eye-catching scholarship.